Management and bylaws are firmly in place for Montezuma County’s newly-organized Southwest Farm Fresh Co-op, and 20 eager growers are signed up and ready. It seems the only thing standing between farmers and buyers is a reliable truck and a cooler. In the meantime, the brand new co-op plans to get things underway with the help of Ole Bye’s repurposed white-washed U-Haul. Bye single-handedly spent the previous two years attempting to be the conduit between farmers and buyers. A one-man rolling co-op. Every week meant managing supply and demand with countless phone calls on a dated flip phone and hundreds of miles of slogging up and down mountain passes in a retired moving truck (see Edible San Juan Mountains issue no.14). “The truck doesn’t have a ton of life left in it,” Gabe Eggers, a board member of the co-op, warns. According to Eggers, the co-op is a collection of member farms (20 presently) committed to the “aggregation and collaborative distribution” of local products. In layman’s terms, this means one-stop shopping for everybody. Instead of already-overworked farmers calling all potential buyers (like restaurants and grocery stores), they make one call to the co-op where the product will be marketed directly to all interested parties. “It expands my market tremendously,” says Vic Vanik. Vanik is co-owner of Four Seasons Greenhouse in Cortez, and a co-op board member as well as participating farmer. 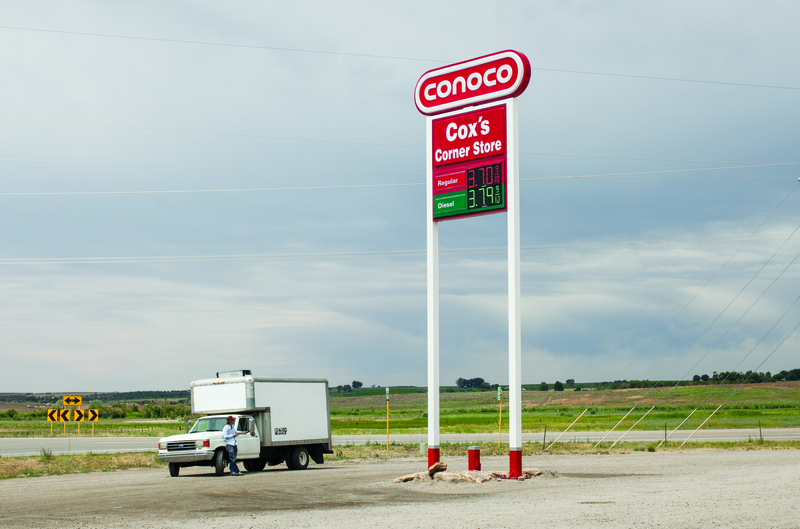 “Instead of me having to do our marketing, the co-op does the marketing for us.” Vanik says it cuts out the phone calls, the distribution (driving his truck all over the area) and all of the things that take him away from producing. But the potential for the for-profit operation is in the millions of dollars according to Vanik. “Everybody I talk to on a national, regional and local level is asking me ‘when can I get produce again.’” Vanik sees potential in every corner. Olathe corn. Palisade peaches. Tilapia, pork, beef and eggs. “Lots of eggs,” Vanik says.